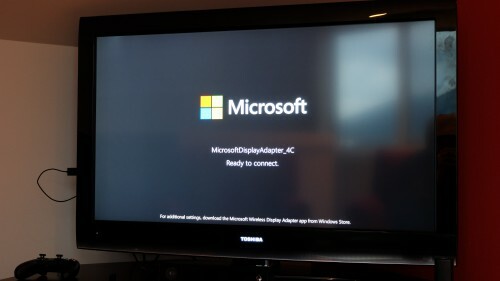 Today Microsoft has announced its Wireless Display Adapter, a Chromecast-sized dongle that plugs into the back of your TV, monitor, or projector and enables you to mirror content from any Miracast-enabled device. It's not the first product of its kind on the market, but Microsoft's offering is a small and sleek option, and it just so happens to be compatible with Android devices. Unlike Chromecast at launch, the $59.99 Microsoft Wireless Display Adapter doesn't need to wait for support from individual apps. This is because it simply mirrors whatever is on your screen to the television, similar to any other Miracast adapter or Chromecast's screen casting (which is limited to certain devices). The downside to this is the inability to multitask from a mobile device. You can't use your phone or tablet to check email while Netflix is streaming unless you want everyone else in the room to see what's in your inbox as well. 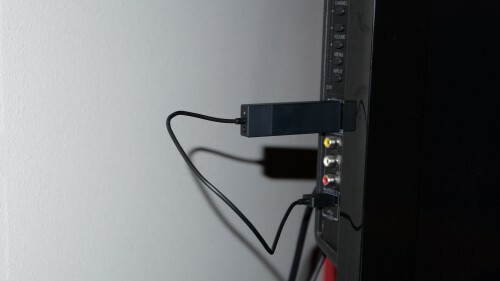 Microsoft's adapter is a little black bar that, again unlike the Chromecast, appears to have a non-removable USB cable. The cord isn't as long, resulting in less of a tangled mess. On the other hand, this also means that you can't swap the cable out for a lengthier one, which may be an issue on certain TVs where the desired HDMI and USB ports are not close together. This also limits your ability to plug the adapter into a power source other than the targeted device. It's good to see Microsoft playing nicely with our mobile platform of choice (hint: not its one). Earlier this month, the company released a nice looking universal Bluetooth keyboard, and now we have this. 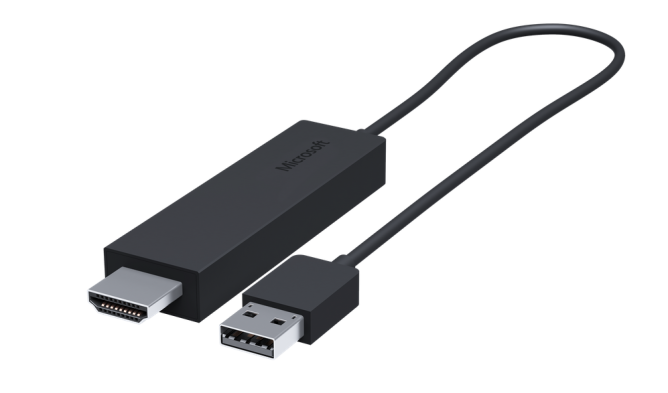 The Microsoft Wireless Display Adapter requires Android 4.2.1 or higher. It's available for pre-order now in the US and Canada.